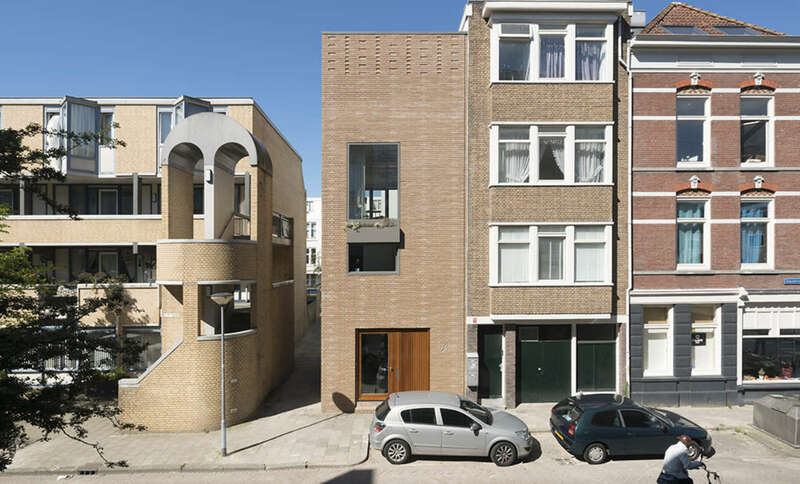 Between beautiful 19th-century houses and original social housing, architects Nina Aalbers and Ferry in 't Veld found a small plot for their dream home. They asked the municipality: 'Can we build here?' And received a response: 'Please!'. Taking account of the existing housing was not easy in a neighborhood with buildings from different times and styles, but one thing they all found to have in common: brick. ArchitectuurMaken created a contemporary brick house with in mind the concept of circular design and respect for the neighborhood. The plot was small, so the building has four floors, the upper one is a roof terrace. During ZigZagCity you can take a look inside through the front window. Behind it is an temporary installation that shows how the house was created.